Grandparents are your favorite relatives because they’ve spoiled you for decades and are full of great stories. Plus, they’ve probably helped you get your way with your parents a time or two when you thought all hope was lost. 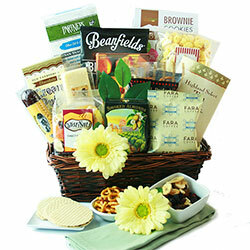 On Sunday, September 10th, honor the matriarchs and patriarchs of your family with thoughtful Grandparents Day gifts. Grandpa has sent you thick cotton socks on your birthday for years, and grandma is known for whipping up your favorite meal for the holidays. 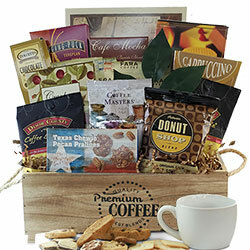 Sending a gift to your grandparents will show them how much you appreciate all they do for you and make them feel special this Grandparents Day. 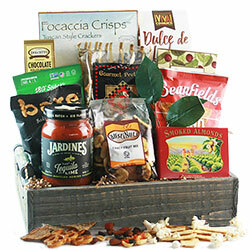 We’ve got a variety of Grandparents Day Gift Baskets to choose from, and you can even create your own with our Design It Yourself wizard if you want to hand-select items for them. What is a good gift for grandma? Does Grammie love wine or have a green thumb? 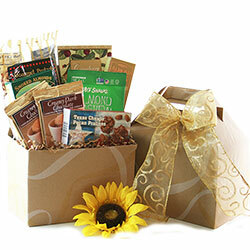 The Garden Party Gardening Gift Basket will be the perfect gift. 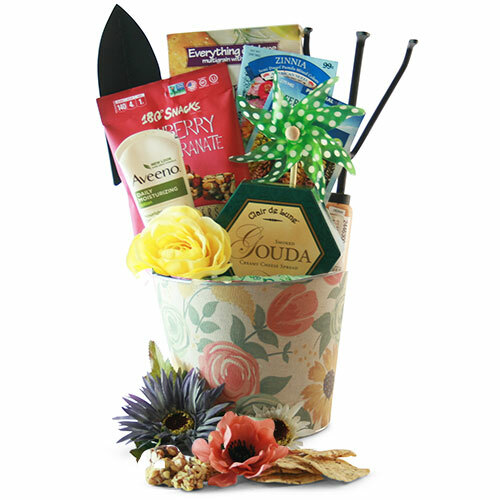 It includes two gardening tools, plant seeds, a kneeling pad, and even hand lotion and cookies as a reward after she’s finished the weeding. Or maybe your grandma loves nothing more than relaxing with a spot of tea and a good book. 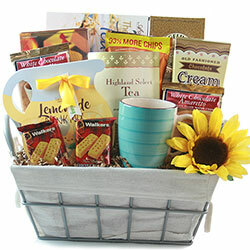 The Afternoon Revival Tea Gift Basket includes a flavorful tea collection and gourmet snacks like smoked almonds, dulce de leche cookies, dried fruit, and more. 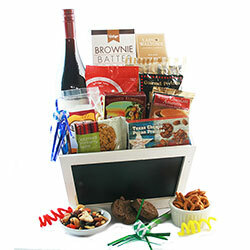 Aside from these options, we have a host of other gift baskets suited for grand dames in your life. What is a good gift for grandpa? Grandpa has his hobbies and his likes and dislikes, and he’ll let you know exactly how he feels. That’s why you love him. 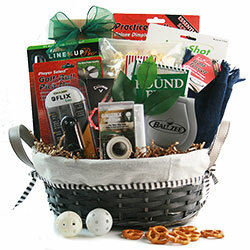 This Grandparents Day, give him something that will fit with his favorite sports or hobbies, like this Hook, Line, and Sinker Fishing Gift Basket. It includes Wolfgang Puck coffee to get Pappy up and at ‘em in the morning, plus cheese and crackers, sunscreen, and a fishing wall plaque. 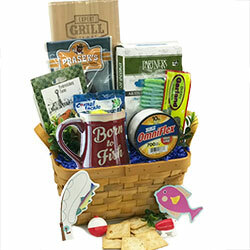 If your grandfather is prefers land to water, get him a golf gift basket. With a sleeve of golf balls, golf ball identifier, towel, Gatorade, and gourmet snacks, he’ll be ready to hit the greens. 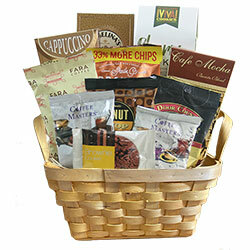 We’ve got plenty more gift baskets for the coffee lover, grillmaster, and just all-around-great grandpa. Browse the rest of our selections below. How did Grandparent’s Day start? Marian McQuade of West Virginia worked for years to have a special day dedicated to honor grandparents. Her tenacity finally paid off and the first Grandparents Day was proclaimed in 1973 in West Virginia by Governor Arch Moore. In 1978, five years after its West Virginia inception, the United States Congress passed legislation proclaiming the first Sunday after Labor Day as National Grandparents Day. 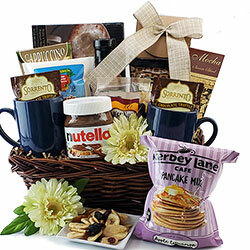 Today this event is observed by millions throughout the United States which means grandparents nationwide are receiving gifts and feeling the love!